Welcome to Total Payment Systems | Equipment and Software for your Credit Card Processing Needs. TPS has the resources and expertise required to develop a custom solution for your situation. We are able to use existing equipment, integrate with your system or provide a complete turnkey solution. TPS offers you "hands-off" equipment and software activation. New equipment will come programmed and ready to use. Existing equipment will receive a download allowing you to process credit card sales that same day. Software is shipped configured with your merchant identification and communication numbers. Simply install and you are ready to begin. All systems have a 24 hour/7 day help desk and one-on-one training to get you started. Not interested in purchasing software or equipment; however, your business needs online, real time, virtual credit card acceptance capabilities? No problem! We have a solution for you. Our primary focus is to provide high quality credit card service and support on an ongoing basis. This will increase your efficiency and reduce your costs! Below is a sample of the processing equipment we support. For more information about equipment, please fill out the equipment quote form or call at 678-366-0308. Click here for a FREE EQUIPMENT QUOTE! The most flexible offering in the Vx 500 Series, the Vx 570 includes all the benefits of the Vx 510 … plus a white screen with larger display, PCI PED certification, modular dial or dial + Ethernet connectivity, up to 12 MB of memory, optional larger paper roll, and USB technology port for 5-second memory stick download. This compact design includes a 32-bit processor, integrated thermal printer and PIN pad, dial connectivity (or a choice of dial + Ethernet connectivity for our non-U.S. customers), plus support for third party value-added applications. Available to our U.S. customers, the Vx 510 includes a high performance 32-bit processor, integrated thermal printer, integrated PIN pad, and dial connectivity, all in a compact design. Ideal for anyone who needs to offer payment in a temporary location or a business that’s on the go. It delivers high-speed wireless performance, durable design, and exceptional ease of use wherever you need it – such as outdoor markets, delivery service, and for instantly adding an extra lane during peak business hours. Modular connectivity choices include CDMA, GPRS, Ethernet, and dial + Ethernet. The MX870 merges full-motion video, a 65,536 color display, high quality digital sound and highly secure payments capabilities into a single, easy-to-use device. Going well beyond standard PIN pad technology, the MX870 meets stringent security requirements for the payment industry while enabling retailers to express their brand, reinforce advertising, or deliver cross-promotions right to their customers. That means users can now complete transactions at the highest and most reliable level possible, while optimizing their time in front of the MX870. Omni 7000 family — including Omni 7000LE, Omni 7000MPD and Omni 7100MPD — represents the most comprehensive family of consumer facing payment solutions for the retail industry. Its feature sets ranges from basic debit and credit acceptance to advanced functions such as signature capture, graphical user interface, contactless reader, and high-speed network connectivity. In addition, all of the products have compatible software applications, consistent styling, and ease of operations. The T7Plus is a remarkable POS solution that offers high performance and speed in a compact design. The legendary one-touch functionality simplifies operation and reduces training time by placing common functions at the push of a button. The Hypercom® T7Plus builds on the heritage of Hypercom's popular T7 family of terminals. This newest model is designed for merchants requiring a compact countertop POS terminal accepting all magnetic stripe cards and delivering fast online transaction authorizations. The Optimum M4100 redefines the mobile payment industry by integrating full payment functionality and security into a truly portable, compact design focused on the wireless market. Its ergonomic form factor makes it user-friendly, so mobile workers will want to use it. The M4100 allows integration with enterprise management systems which enables true workflow automation and transfer of critical transaction information to the customer. The M4100 opens new dimensions of service and new markets by bringing full payment capability to remote Points-of-Service. Introducing the Optimum L4250, Hypercom's new multi-lane signature capture terminal. Hypercom listened to the multi-lane community and combined PCI-PED and ADA compliance, along with an integrated privacy shield, ergonomic design into a compact footprint. The L4250 utilizes Hypercom's proven Forms Processing Engine application to ensure rapid integration, and unique screen protection system and dual-reader MSR design that assure reliability, in this new Signature Capture product. Experience the difference. Experience the speed. Experience the Optimum L4250. 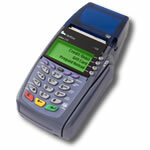 The Optimum L4200 is the latest model of Hypercom's highly successful Optimum series of multi-lane payment terminals. The L4200 combines all the features needed by today's multi-lane retailers in an economical PCI-PED and ADA compliant package. The L4200's unique recessed keypad with integrated privacy shield, compact footprint and ergonomic design, make it the terminal of choice for any retailer. The Optimum L4105 is an innovative, sleek, easy-to-use payment device that offers highly secure, ultra-fast processing and enables you to extend your brand at the point-of-sale. The L4105 features a 32-bit Intel XScale processor, dual-head, bi-directional magnetic stripe reader and flexible communication connectivity to deliver fast data transmissions with existing POS systems. The color screen and customizable bezel allow retailers to introduce specialized marketing campaigns directly to the POS and create an enhanced, unique buying experience for the customer. The Optimum L4100 is an innovative, sleek, easy-to-use payment device that offers highly secure, ultra-fast processing and enables you to extend your brand at the point-of-sale. The L4100 features a 32-bit Intel XScale processor, dual-head, bi-directional magnetic stripe reader and flexible communication connectivity to deliver fast data transmissions with existing POS systems. The color screen and customizable bezel allow retailers to introduce specialized marketing campaigns directly to the POS and create an enhanced, unique buying experience for the customer. 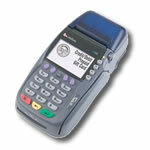 The Optimum T2100 is an easy-to-use payment device that offers highly secure, ultra-fast processing. The T2100 features a 32-bit RISC processor, both magnetic stripe and chip card readers, graphical back-lit display and flexible communication modules to deliver fast transaction times. It is a truly unique combination of performance, security, reliability and ease of use, which is the cornerstone of the Optimum family.